Good afternoon everyone! I hope you are all having a fantastic Friday! Any big plans for the weekend? All I know is I am ready for some Alabama football! 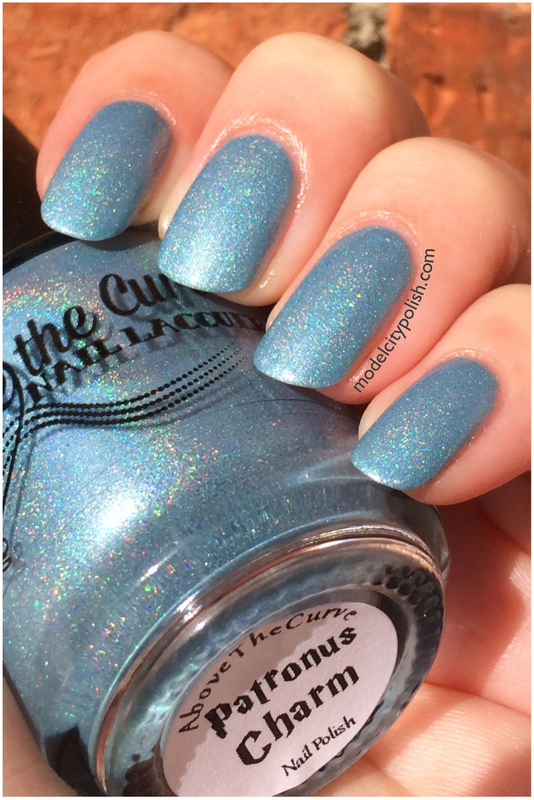 Today I am back with the second half of the new Harry Potter Inspired Collection from Above the Curve. Yesterday we took a look at the house blends so if you missed it head on over here and take a lookie, they are fantastic! Now on to today’s blends. 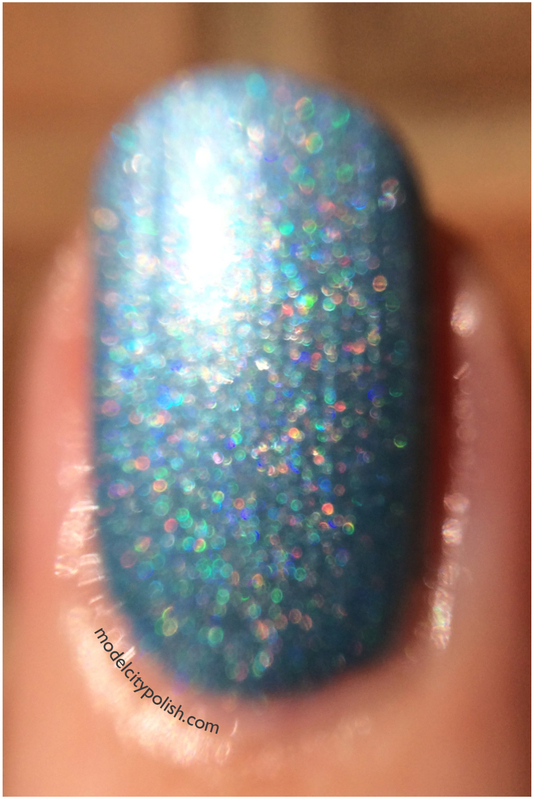 First up we have Patronus Charm. 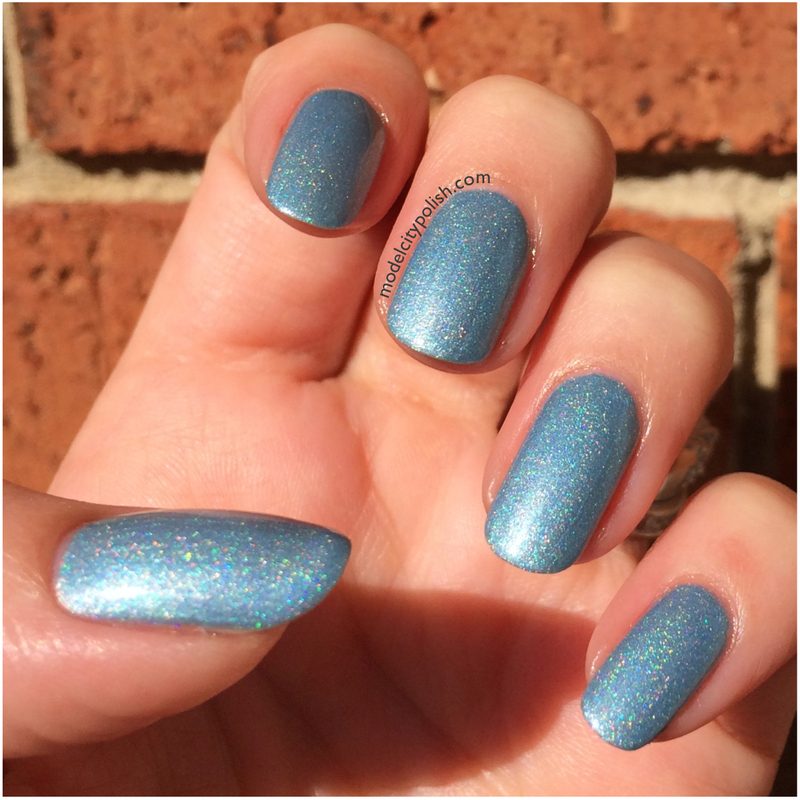 This is a lovely creamy light blue shade with a soft holography shimmer. 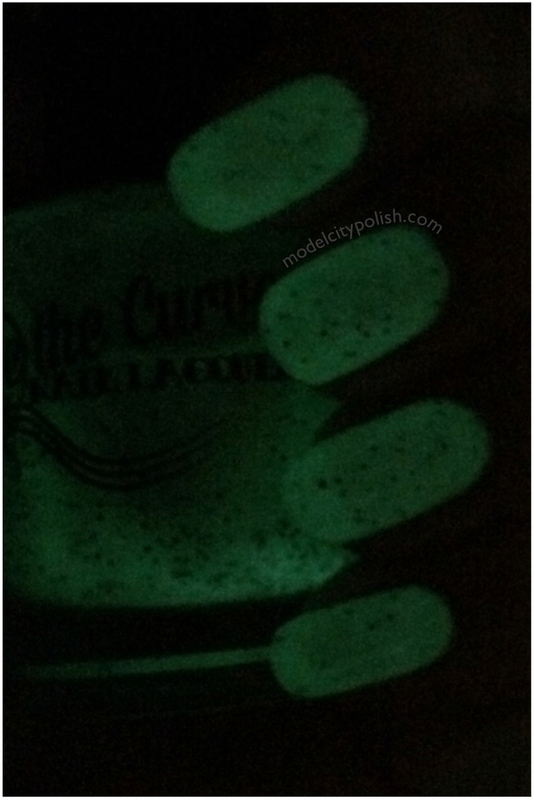 Coverage was fantastic and depending on how you apply your polish, you could possible get away with one coat. 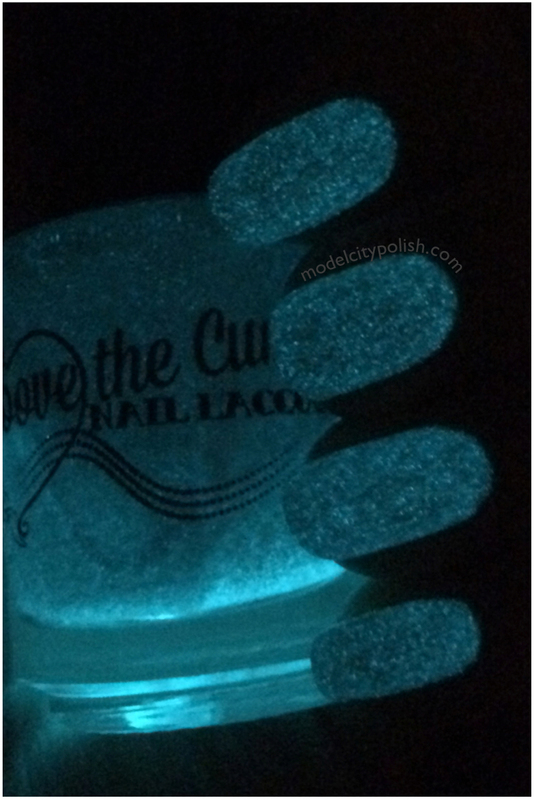 To go with the lovely blue color, this beauty also has a soft blue glow in the dark. 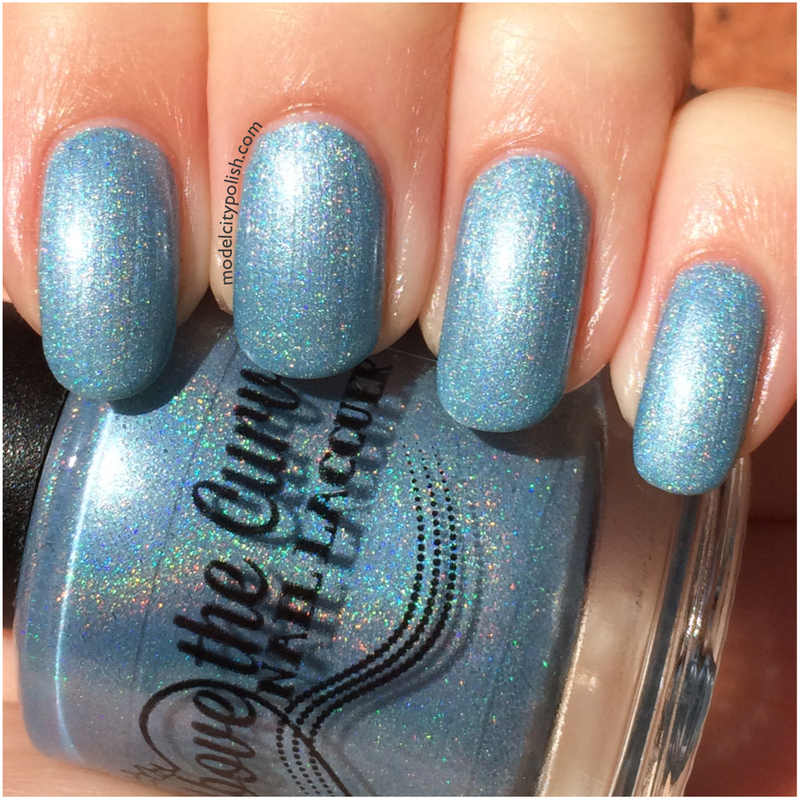 In my photos I am wearing two coats of Patronus Charm and one coat of Above the Curve Top Coat. Next up we have Wingardium Leviosa. 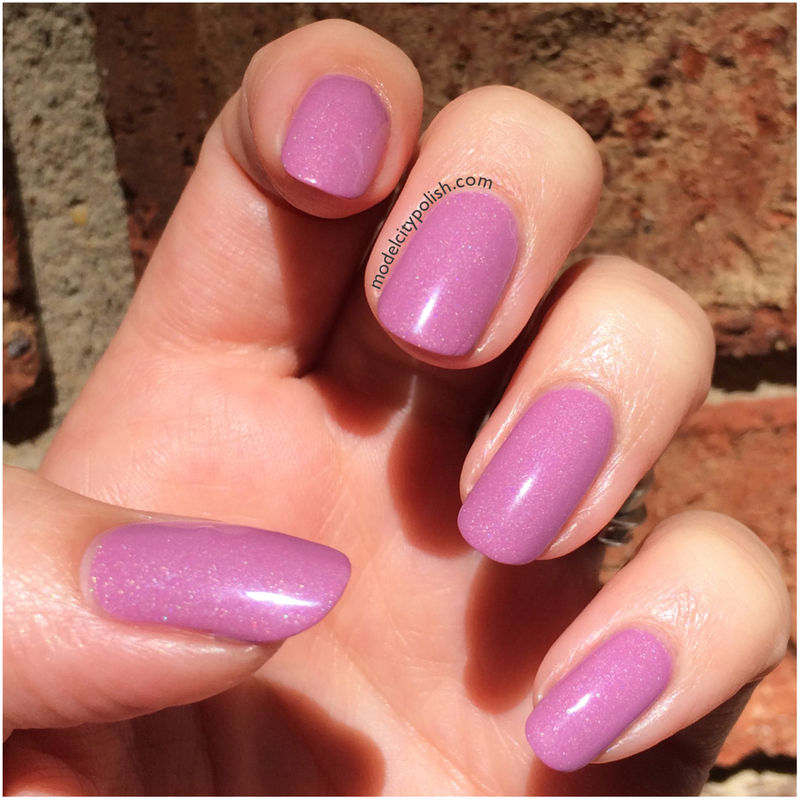 This is a great pastel berry pink shade with a soft holographic shimmer. Again depending on how you apply, you may only need one coat. 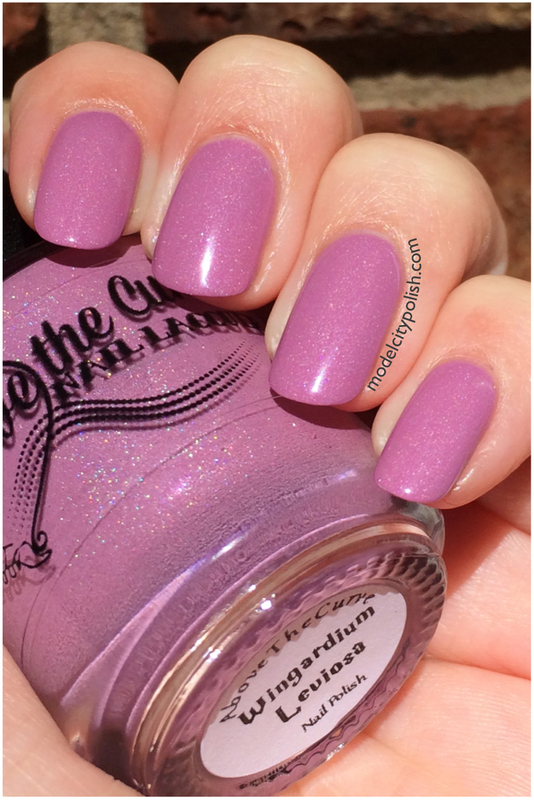 In my photos I am wearing two coats of Wingardium Leviosa and one coat of Above the Curve Top Coat. Now for Polyjuice Potion. 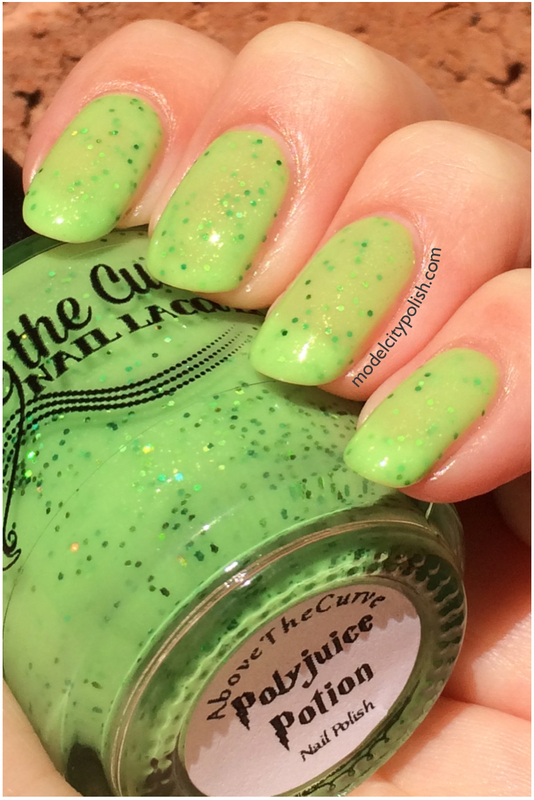 This is a sheer bright green jelly blend with green glitter, gold flecks, and has a soft green glow in the dark. 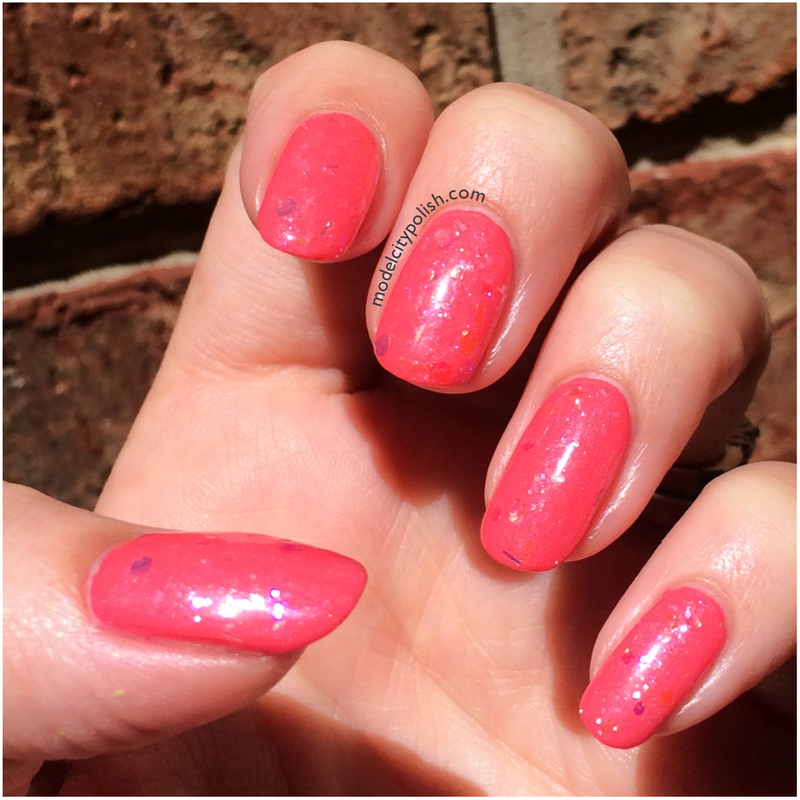 I would suggest that if you have a dark visible nail line that you will probably want to wear a base color to cut back on layers. 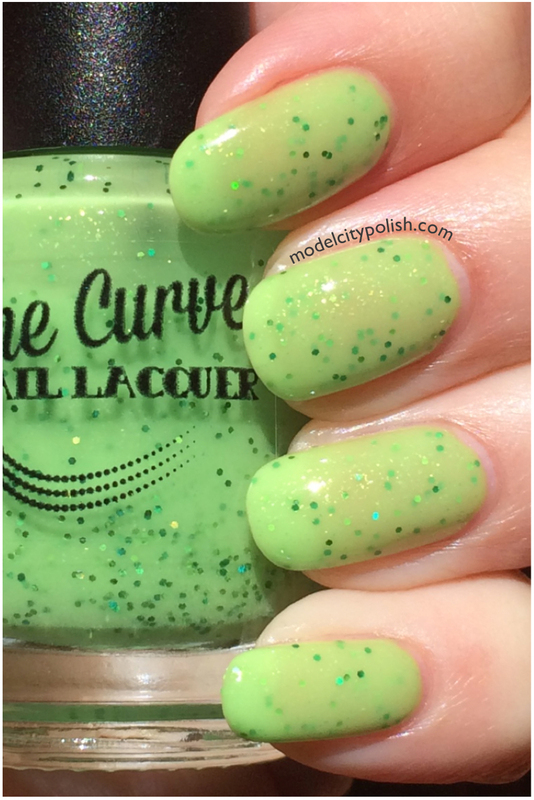 In my photos I am wearing four coats of Polyjuice Potion and one coat of Above the Curve Top Coat. Lastly we have Spectrespecs. 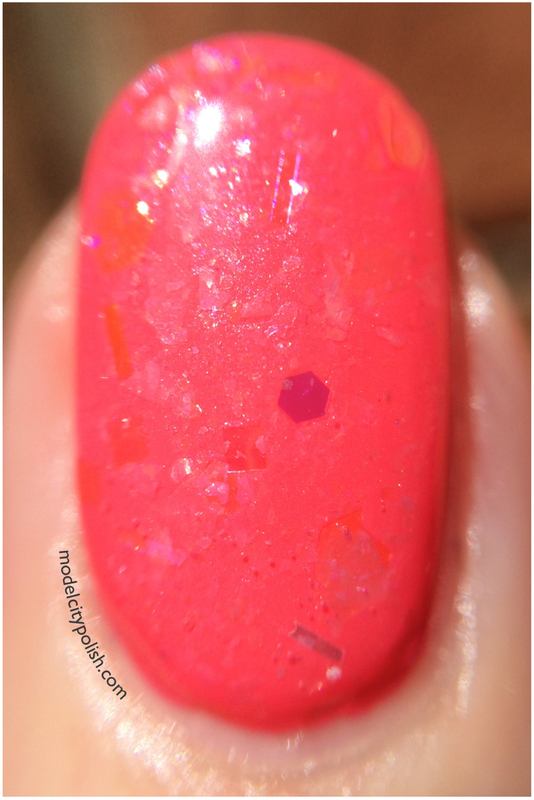 Now I will say now that this one was really tough to photograph so I will try to explain it as best as possible. 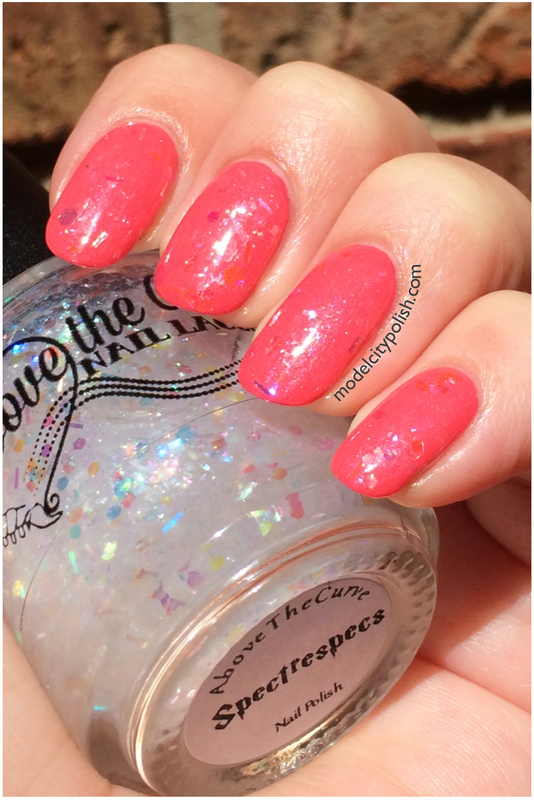 This is a clear base blend with rainbow iridescent hexes, bars, squares, and flecks all in various sizes. 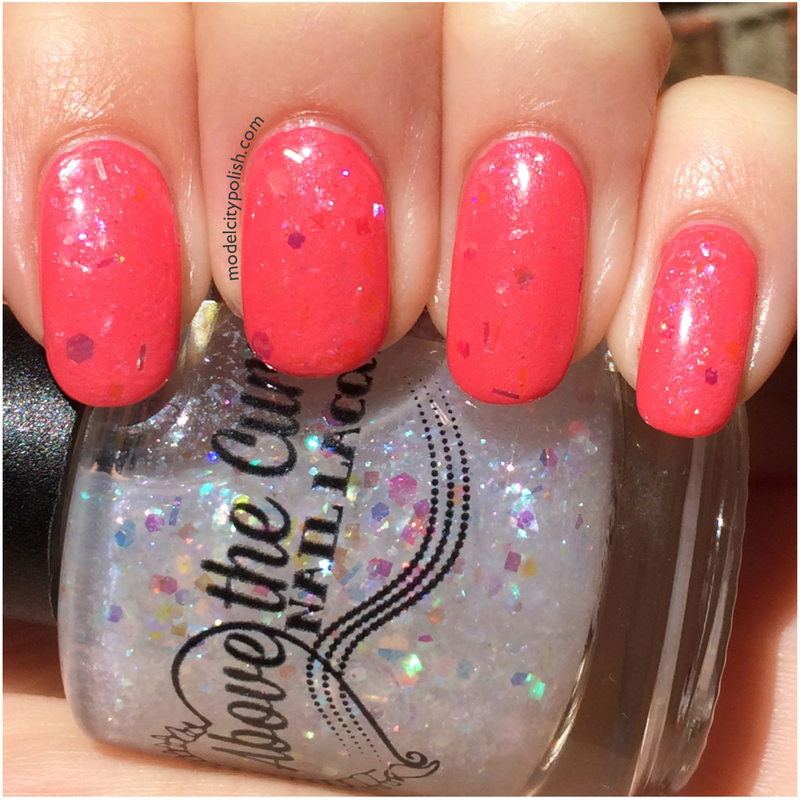 This blend is packed full so you will only need one coat to get tons of glitter. 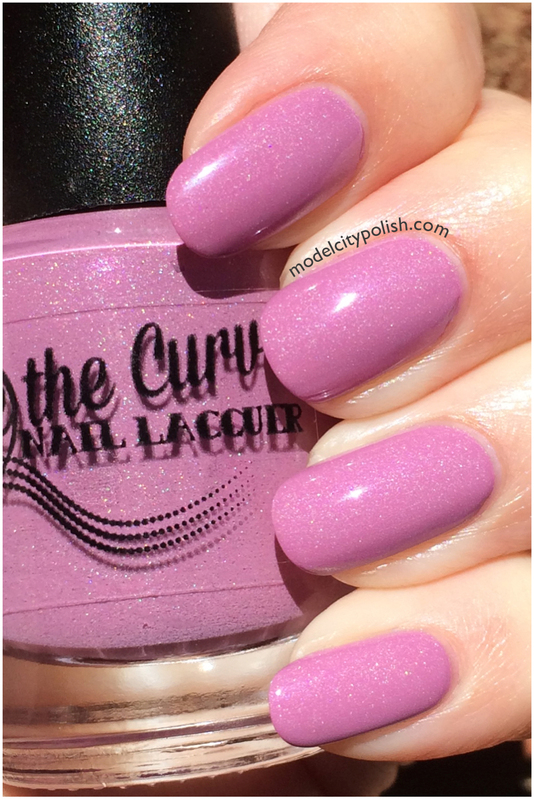 In my photos I am wearing one coat of Spectrespecs over China Glaze Strike a Rose, and then sealed it all with a good coat of Above the Curve Top Coat. These products were sent to me for review purposes but that does not influence my opinion or review. I adore the entire collection. Of course, I’m awfully biased towards HP anything.